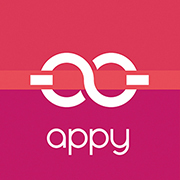 With Appy you can customize the privacy of your wedding itinerary unlike anywhere else. You have control over every single event, determining which are visible to everyone, and which ones can only be seen by select people. NOTE: If you have set any site-wide privacy option (Wedding Code and/or Guest List Match) these will determine if people can enter your site in general (not just view events) and/or if people can RSVP to events. To learn about general privacy options, view here. If you want to invite the plus one of the guest as well, make sure to click the toggle under "Assign access to events for this group's +1"